Unless you were living under some proverbial rock this summer, you probably remember a horror masterpiece known as The Conjuring that rocked the box office for a couple of months. I personally loved this film. It has been years since a mainstream Hollywood horror film has been just so impressive. And so much of it had to be due to the amazing cast, main characters and the supporting ones as well. One aspect of the film that was truly impressive was the group of young, raw talent that made up the supporting family members. When you reach a certain age, and you begin to realize that you are become a whole lot older than so many of the youthful stars of today, you might just find yourself looking for the next Demi Moore or Angelina Jolie or Helena Bonham Carter. And folks, I believe I may have found the next big thing. 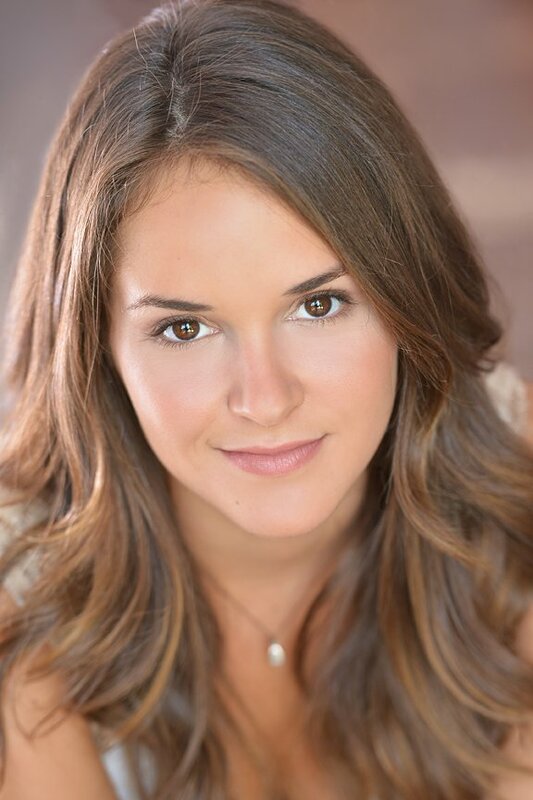 With her portrayal as the eldest daughter, Andrea, the lovely and talented Shanley Caswell was absolutely impressive. And it would behoove me to make the announcement here and now, that she may be one of the finest actresses working today that was born in the 90’s. I have a great feeling that we will be seeing so much more of this young lady. This is another reason I am so honored to have been allotted the chance to ask this rising star a few questions. So, check it out! What compelled you to join the world of acting? Growing up in my hometown of Sarasota, FL I had a lot of access to the arts and especially theater. My whole family was involved in the theater world so it was kind of inevitable that I would join. I started out doing shows just for fun, but once I got older and started working on more complex stories and characters, I grew to really love acting. That’s what made me want to seek it out professionally. You are officially the second youngest person we have interviewed here at TWS, second only to Tara Lynne Barr, and most the folks we interview would answer this question with “hopefully still alive”, I have to ask…. Where do you see yourself in 10 years? Well hopefully still alive of course. But also I just hope that I’m working on something that I really love. I’d hate to have a job that makes me not want to get out of bed in the morning. In your short career thus far, what would you say is your greatest accomplishment artistically speaking? Well, to be honest I’m just happy to be working at all in this industry. But if I had to choose one project that I’m really proud of it would have to be a movie I did called Detention. It was the most responsibility that I’ve ever had for a project and a character and I worked really hard on it. The whole experience was challenging but rewarding at the same time and I’m really proud of the way it turned out. 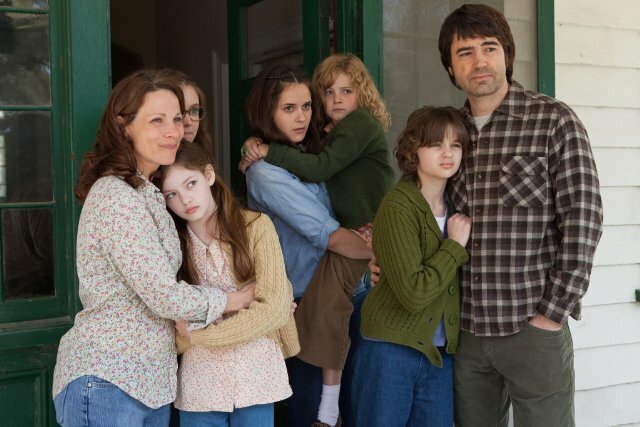 What was life like on the set of The Conjuring? Did you have anything to help lighten the mood while shooting a film with such dark subject matter? What’s funny is that the mood on set was lighthearted and fun, not dark or dreary in any way. I think that, at least for all of my scenes, having the younger girls who played my sisters really helped to keep the energy happy on set because we were always playing games and joking around. I swear if someone would have visited and seen the set they would have thought we were filming a family comedy. Was the subject matter of The Conjuring freaky to you? What sort of occurances in horror films just scare the hell out of you? Paranormal movies always get me, so reading The Conjuring script was both exciting and scary to me. There’s just something about paranormal stories that plays on everyone’s primal fears and I think that the Conjuring does a good job at tapping into those fears. What genre of film have you not worked in that you would really like to get in to? Why? I would really like to do more dramas with complex characters because it’s so rare to find multidimensional characters written for my age group with a good story. I would also really like to do an action film of some sort because I would love to do some stunt work. I have such a respect for stunt performers in movies. Have you ever thought about getting behind the camera in one form or another? Yeah, actually. The thing I love about making films or theater or really any art is the idea that you are creating a product that can change people’s lives and outlook on life. So I think that I would be happy doing any job behind the camera just as long as I’m involved. If I had to choose one other job in particular though, I think casting would be fun because I love actors and I also like helping people in their careers. I would also like to write and be involved in the story making process. I’m watching a dog desperately trying to lick peanut butter from around her mouth right now. It’s pretty amusing.